IJOY ELF Coil, which is designed for ELF Tank , has 0.5 and 07ohm resistance for choice. Just get it as your spare part. IJOY ELF Coil, which is designed for ELF Tank , has 0.5 and 0.7ohm resistance for choice. Just get it as your spare part. • It is compatible with ELF Tank. • Quick link:ELF Sub Ohm Tank. IJOY ELF Coil for ELF Tank 5pcs/pack is a 2ml capacity tank with different resistance of 0.5ohm and 0.7 ohm. 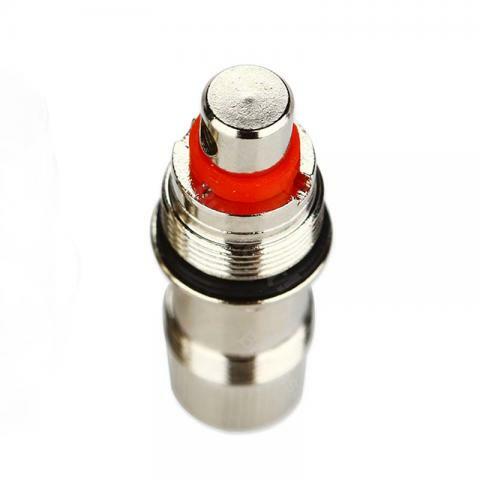 0.5 ohm coils support 25-35W and 0.7 ohm coils support 15-25W. Very good product quality. This is the perfect Nautilus 2 competitor and I think it is a bit better because refilling just works a bit better.